Ask fellow campers about "Opelousas South City Park" and nearby attractions. This campground was a find...and we had trouble finding the camp sites! The park is easy to get to, tidy, safe and quiet. 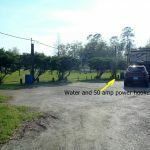 There are at least two (perhaps more) different camping areas, both with water and 30/50-amp electric service for $11 a day. There are no signs directing you to the campgrounds and no park map. The electric and water "posts" are only 2 feet or so high and they blend into a low barrier wire and plantings. The two campgrounds we found were a graveled and packed dirt parking lot to the right just inside the park gates and, further back in the park, there is a larger grass meadow with concrete slabs with electric and water posts with mostly back in sites. Because of a chance of rain, we wanted to park in the parking lot as a pull thru but missed the campground/parking lot on the way in. So....I took photos, added annotation to them and uploaded them here for you so you know what to look for and where. No one came to collect the $11 so I hiked over to the park office the next morning to pay. We will definitely stay there again when traveling thru the area. We camped at Opelousas South City Park in a Motorhome. The Louisiana Orphan Train Museum is poignant and educational. I'd heard the stories in the Midwest (and the National Orphan Train Museum is in Kansas) but didn't know the children were also shipped south. The folks of Opelousas are to be commended for this touching presentation of history. Perfect for an overnight stop. GPS tries to take you on side streets but Market street off 190 is a straight shot into the park. Checked with a local delivery truck who needs 13.6 clearance and he says no problems at all with the tree branches. As you come in parking lot on the left has 50 amp in sites 6,7,8. Some local traffic in daytime with kids using playground but quiet at night. City employee in marked city car comes by to collect money and gives a receipt. We camped at Opelousas South City Park in a Fifth Wheel. I think we may have found a hidden gem in Opelousas, LA in St. Laundry's Parish. This beautiful City Park has RV hook-ups, 50 amp & water, $11 a night. No sewer but they have dump at no charge. No limit on how long you want to stay. It seems like a cool little town. We stayed 3 nights. It's so quiet here. There are Park Rangers here 6 am-11 pm. The gates are locked at all 3 entrances at night. It seems this park is used a lot by both young & old. Kids practicing tennis, kids practicing for a dance recital, tons of people walking & riding bikes. We drove around town yesterday. It's kept clean. There's an area where quite a few businesses have closed. We felt very safe here day & night. Will definitely stay again when in the area. We camped at Opelousas South City Park in a Fifth Wheel. Get some chicken from Mama's Chicken! Recommend by everyone we talked to. Make sure to get the homemade biscuits! Shrimp was very tender & nice size. Chicken pieces were huge! Think Walmart parking lot with water and electric, and you will have a good idea of what this "campground" is like. We stayed in the area with paved parking and very, very bright spotlights. It might have been a better experience if we had stayed in the grassy field. It was not terrible, just not great. It takes some navigating through side streets to reach the park, and some of these streets have some low limbs, so use caution. On arrival there is no signage to indicate parking. Luckily there was another motorhome there when we arrived, and they told us the basics. Just pull up along the fence so that you can reach a hookup and someone will come along to collect your money. All of the park staff that we dealt with were extremely nice and helpful. There were two or three men that hung around the park that likely had no other place to go, and they talked late into the night. That was a bit sleep disturbing. There was also a bit of driving through the parking lot with some nice rap music. However, we really had no problems. The 50 amp hookup was good; we did not use the water hookup. We had strong Verizon data. DirecTV satellite was easy since there was no tree cover. There is a dump station, but we chose not to use it as there was a fairly significant drop-off of the pavement to reach it. If in the area again we would likely seek an alternative. We camped at Opelousas South City Park in a Motorhome. There is a Walmart a couple of miles away for supplies. Reed, Inc. at 3304 W Landry street is a good place to fill with propane. As others have posted, this rv facility is quite basic, however, a great value for the nightly fee of $11.00. Site surface is a level concrete pad with a sunny, open exposure. There was a dump site available but we didn't use it. We camped at Opelousas South City Park in a Motorhome. This is a city park and is safe and patrolled regularly. Not very far from many commercial services. This is a very nice municipal park in the heart of Opelousas. The other reviews describe it well. Water and electric is included. Here seem to be a mix of 30 amp and 50 amp boxes. We stayed in section D, which is adjacent to a little ball park on the left as you enter. These are all back in sites on grass. In April, there were about 5 campers total so we had our pick. I would definitely stay here again, particularly if I needed to be in Opelousas for any reason. This is about 2 miles from the interstate. Good Att and Verizon. Water tastes great. The entry roads are a bit tight, but we got our 39' motor home in without difficulty. The park is active, with nearby lighted tennis courts and baseball fields. We camped at Opelousas South City Park in a Motorhome. The concrete pads are to the right as you come in to the camping area. However, all of these are near pole lights and lit up at night. The other areas do not have nighttime lighting, which we prefer, but are all on grass. Water and electric only. Lots of shade trees and large sites. No manager or office onsite. Just park and someone will come by. We camped at Opelousas South City Park in a Fifth Wheel. Great place to overnight. We got there around 10 pm and within 15 minutes a city worker in uniform and marked vehicle came around and collected the $10. Well lit. We are 13'6" high and were able to get down Market Street to the park without clipping the top with the low hanging branches. We pulled into the big lot on the left as you come in; we were the only ones there. Easy hookups on the utility poles. Didn't check out the bathroom as we are self contained. Park is very nice and well kept. They lock the gate at 11:00 and re-open at 6:30 am. We camped at Opelousas South City Park in a Motorhome. Interesting place. We have stayed in City Parks before and this one is slightly different. The pool is closed. Appears to have been closed for quite some time (dry) the restrooms that are open all the time are at the pool. Bring your own toilet paper and they aren't really pleasant. No showers visible. They have another set of toilets by the ball fields that close at night. There are several areas to camp within the park. At one side of the park where the pool is has 2 large parking lots on either side of the road. There are electric boxes and water on multiple sites. You should probably back in as it allows more campers to park but then you take up much of the parking lot which is also used for baseball games etc. We parallel parked (we were the only camper in the entire park). No shade to speak of on this side but most of the electric boxes could handle 50amps. The opposite side parking lot would have been "more quiet" if we were going to stay long I would have gone there as that is the parking lot for the closed pool. On the opposite side of the park are about 3 additional areas to camp. Most are 20/30amp. A few have cement pads, most are on grass. A couple were in grass areas that would be very UN-level to park on. Would work for tents or small campers like a popup. The rangers and police patrol allot during the day. The park closes at midnight. We camped at Opelousas South City Park in a Travel Trailer. For the price, this is an excellent place to stay. There are low limbs approaching the campground, and there is no sewer but these are the only negative points. The park ranger was very nice. The sites are paved and have 50 AMP electricity. We'll stay here again when we pass though; we stayed here two days because I work from the RV and needed to sit still for a bit, and we found it very quiet. We camped at Opelousas South City Park in a Motorhome. We have stayed here 3 times. We have always parked at the edge of the parking lot to the left when entering coming down Market St. The streets are narrow with some low hanging limbs you have to avoid if you are in a big rig. There are 50A sites at the edge of the parking lot where you are parked on pavement. Quite a bit of activity on the weekends. There are other sites scattered around the park that are not on pavement. They are probably muddy after a rain. Good value for the money. We camped at Opelousas South City Park in a Motorhome. 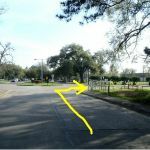 Are you affiliated with Opelousas South City Park ?